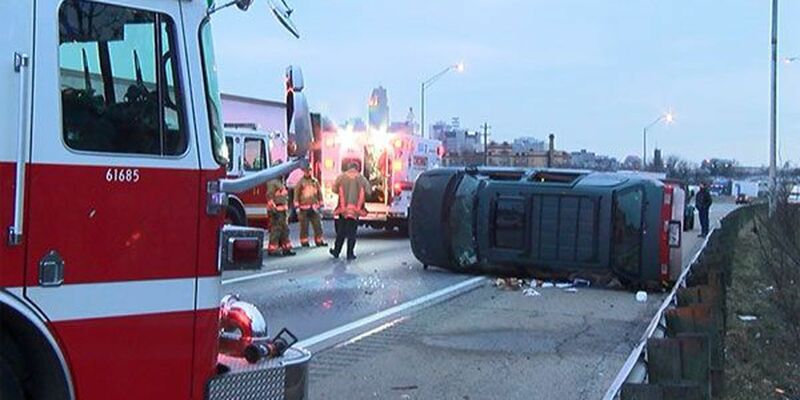 CINCINNATI, OH (FOX19) - Cincinnati Police say overdosing while driving is a problem that is out of control on Tri-State streets. More and more crashes are being reported from addicts shooting up heroin while driving, overdosing and losing control of their vehicle. Sergeant Michael Hudepohl with Cincinnati Police traffic division says last year the city averaged around 50 heroin related accidents all year. Now they are running on multiple calls a day. On Friday, he estimated they responded to at least 4 heroin related crashes in the last 24 hours. A suspected overdosing driver crashed into New Emmanuel Baptist Church Friday afternoon and on Thursday, Interstate 75 slowed to a crawl during the afternoon rush hour when police suspect a heroin addict rolled his car while shooting up. "It's a continuous circle to keep the drug in your system and these people go to any length to get it," said Sgt. Hudepohl. "They get in their car, they use it, they OD, the crash and then we get involved." "Sometimes when they are paying for the gas, they even nod out at the register. We've actually had a couple of people overdose in the bathroom," said Samantha Hilliard, an attendant at a gas station in Queensgate. Driver Tracey Tolliver says it's hard to ignore how far heroin is reaching. As for why this is happening, police believe addicts are getting heroin in one place and are trying to shoot up as soon as possible to keep from experiencing withdrawal symptoms. Police say if you see someone on the road you suspect may be driving under the influence call 911 for their safety and for your own. "If you believe you are behind and impaired driver, call 911 before they crash and hurt somebody," advises Sgt. Hudepohl.